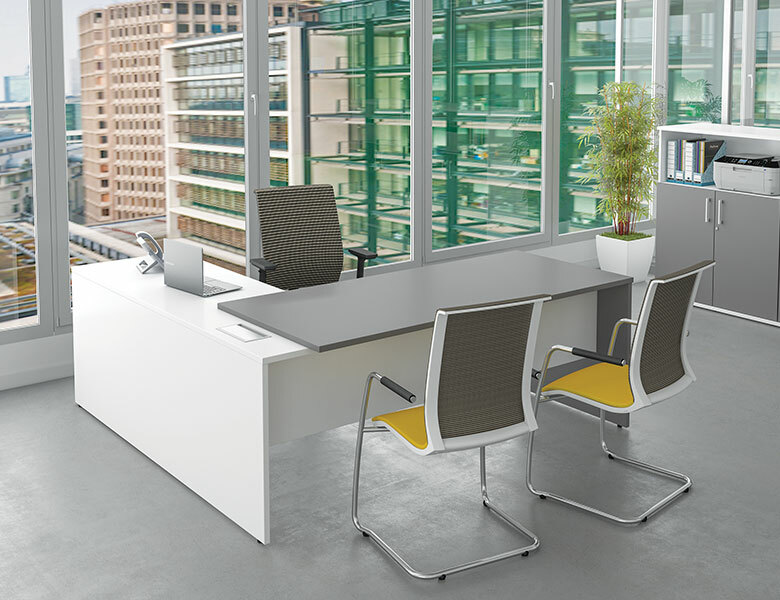 Description Executive is our latest desk range presenting a stylish, managerial work space. 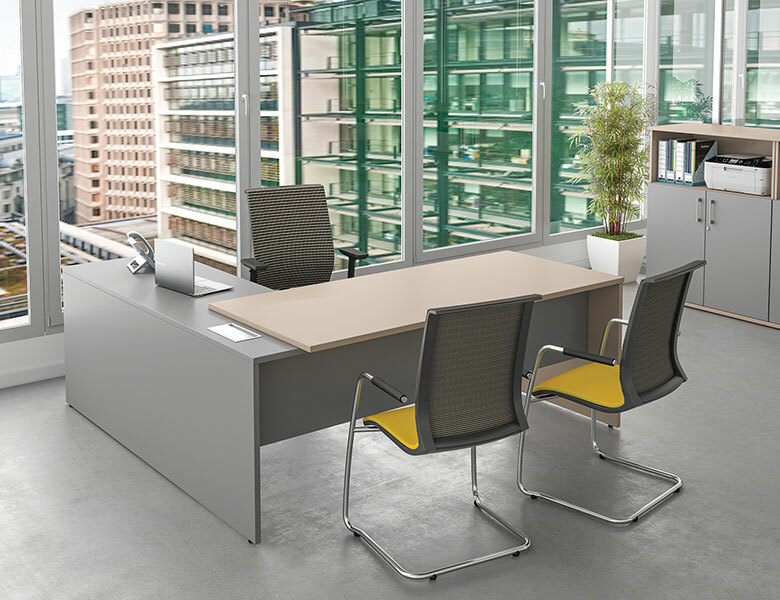 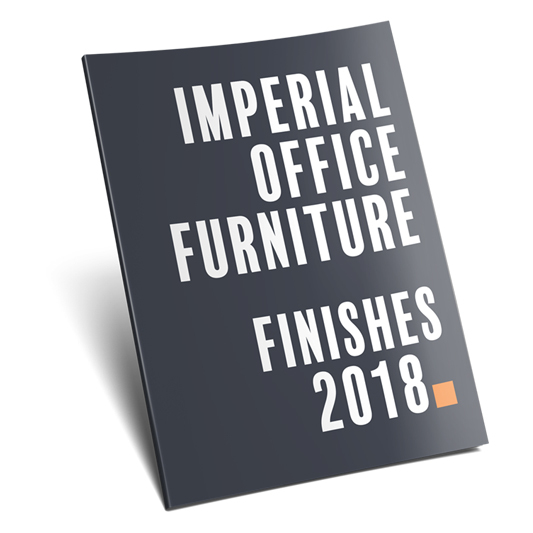 This small range of rectangular and corner panel end workstations with integrated 3 drawer pedestals is a high end addition to any office at a very competitive price. 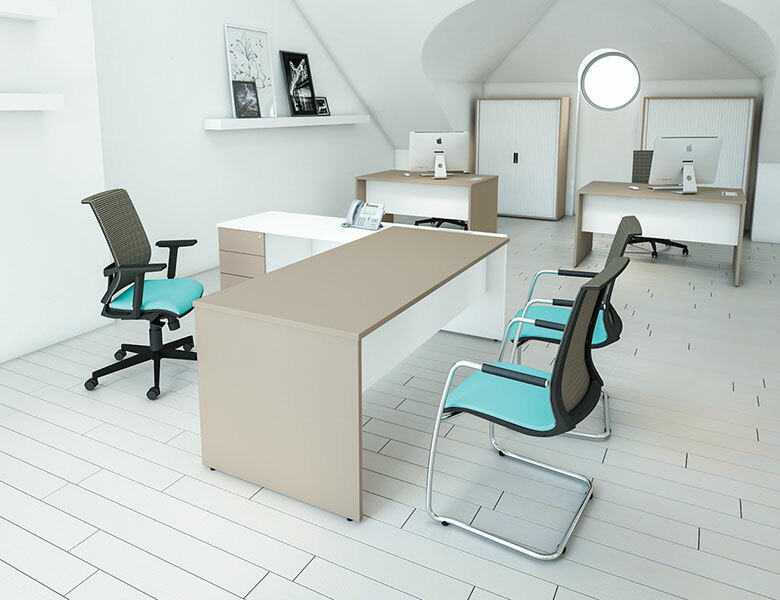 Two tone colour options are available as standard and our Colours or Universal Storage complements the range perfectly. 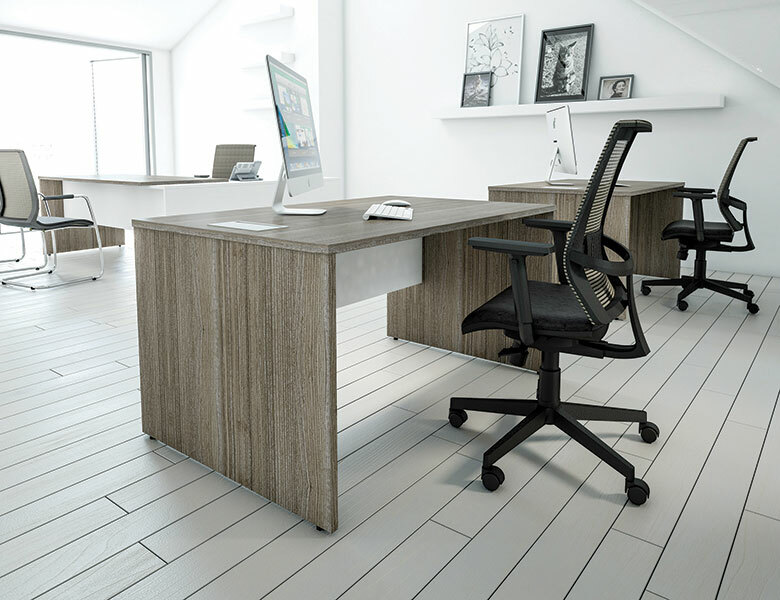 Cable trays can be added from our Accessories range to complete your work area.